2019 members who have renewed are shown in BLUE in the online MCANA Full Membership (password protected) online directory. That’s where and when the Music Critics Association of North America will hold our 2019 annual meeting, in conjunction with the Boston Symphony Orchestra’s summer home, the Tanglewood Music Festival in the Berkshires of Western Massachusetts. If there was ever a good time for MCANA to gather at Tanglewood, it is the summer of 2019, because not only does the festival feature typically enticing programming but it is also opening the Tanglewood Learning Institute, a new four-building complex designed for music and education that will be presenting programs during the time we are there. Among the weekend highlights: On Saturday and Sunday, BSO music director Andris Nelsons will lead three concert performances (one for each act) of Wagner’s Die Walküre, with the Tanglewood Music Center Orchestra and a cast of top-level Wagnerians that includes Amber Wagner (Sieglinde), Christine Goerke (Brünnhilde), Simon O’Neill (Siegmund), James Rutherford (Wotan), and Ain Anger (Hunding). On Friday, Nelsons will conduct the BSO in the Shostakovich Second Symphony, Ravel’s complete Daphnis et Chloé, and Mozart’s Piano Concerto No. 12 with soloist Paul Lewis. Attached is the Tanglewood season announcement that has the full schedule for the weekend we will be there as well as the rest of the summer. The BSO will announce the Tanglewood Learning Institute schedule in February. Please plan to make the MCANA annual meeting at Tanglewood part of your summer. Details on registration, accommodations, transportation, and other pertinent information is to follow as progress allows. Please welcome new MCANA member Corinna da Fonseca-Wollheim. Corinna is a freelance writer who is a contributing classical music critic for the New York Times. Her contact information may be found in the online members-only directory. Please welcome Xenia Hanusiak, our first new member of 2019. Xenia is a writer, professor and author who contributes to the London Financial Times, The Log Journal, Classical Voice North America and others. Her contact information may be found in the MCANA Member online directory. Welcome to the Association! Welcome returning MCANA member Jeremy Reynolds. Jeremy is the classical music critic at the Pittsburgh Post-Gazette. His updated contact information may be found in the online membership directory. Please welcome new MCANA member Cameron Kelsall. Cameron is an opera and classical music critic for Broad Street Review, a leading arts and culture website in Philadelphia. His contact information may be found in the members-only online directory. 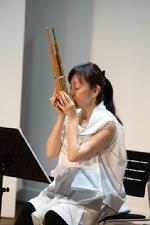 The Japan institute, co-sponsored by the Music Critics Association of North America and Music From Japan, was held July 5-9 in Tokyo and Fukushima, Japan. 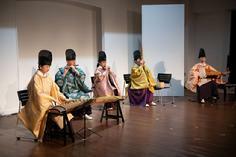 There were twelve participants, including 10 MCANA members and two composers. The MCANA members attending were John Fleming, Susan Brodie, Richard Ginell, Nancy Malitz, Johanna Keller, Bill Littler, Mike Anthony, Michael Huebner, Gil French and Sarah Bryan Miller. The composers were Anthony Cheung and Zosha Di Castri. Click on the images below to open Michael Huebner's and Richard Ginell's articles on the Music from Japan Institute. MCANA member Paul Hyde has accepted a new position at Clemson University. His specific title is Public Information Coordinator with Clemson University's College of Architecture, Arts and Humanities. Paul will continue to cover the arts on a freelance basis. His new primary music affiliation will be the Greenville Journal. 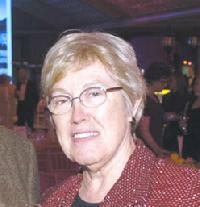 Former MCANA member Mary Ellen Hutton has died. MCANA member John von Rhein has announced his retirement as classical music critic of The Chicago Tribune on July 1, after a tenure of nearly 41 years. He said his long run at the same newspaper is unprecedented in Chicago music journalism, insofar as he has been able to determine. At 72, he said he will move on to other ventures and will continue contributing articles and reviews to American Record Guide. Classical music coverage at the Tribune will be taken over by jazz critic Howard Reich, who has served on the Pulitzer music jury four times and has written five books, including one on Van Cliburn. Reich will continue as jazz critic along with his new duties in classical. "It is my sad duty to inform you that Dr. Glenn Loney died on April 16 after a year long fight with malignant melanoma. He fought a good fight until the end. He was a long time member off the Music Critics Association of North America and made ever attempt to attend the annual meetings. He will be missed. There were no funeral services but there will be a memorial service for him by the Broadway theatre community at some point in the near future. I will let you know the details once the planning is completed. 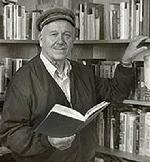 Sincerely, Scott Bennett"
Click on the photo of Dr. Loney to see a tribute to him by William F. Hirschman. Please welcome new member Jennifer Pyron. Ms Pyron is a freelance writer for Opera Wire. She resides in New York City, and her contact information may be found in the online members-only directory. Please welcome Jennifer to the Association! Please welcome new MCANA member Simon Chin. Mr. Chin is a freelance writer who regularly contributes to the Washington Post and Musical America. He resides in Rockville, MD. His contact information may be found in the online membership directory. Please welcome Mr. Chin to the Association. Please welcome new MCANA member Rick Perdian. Rick is a freelance writer who contributes to Seen and Heard International and MusicWeb International. Rick resides in Stillwater, NJ. His contact information may be found in the online Full Membership Directory. Please welcome Rick to the Association. Please welcome new Student Member Harrison (Harry) Rose. Harry is the primary DC critic for Parterre Box. 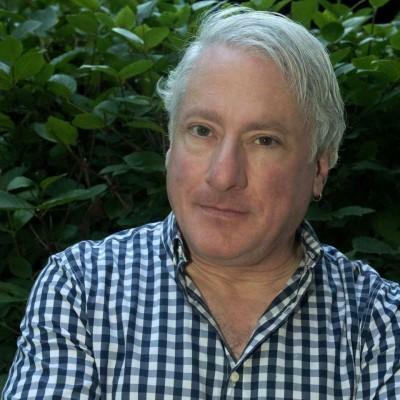 He has also written for the Washington Post and Washington Classical review, was a long-time Huffington Post contributor, and published for seven years under Opera Teen. He is currently a full-time student at Georgetown University. His contact information may be found in the members only online directory. Welcome aboard! Please welcome new MCANA member Anne E. Johnson. Ms Johnson is a contributing writer and editorial assistant for Classical Voice North America, and a contributing writer and editorial assistant for Early Music America. She also is a columnist for PS Audio Copper Magazine. Her contact information may be found in the MCANA online directory. Welcome! His contact information may be found in the online membership directory. Please welcome new MCANA member Geoffrey Simon. Mr. Simon is a freelance journalist who writes for CVNA (Classical Voice North America). Mr. Simon is also Organist at Raleigh's Holy Trinity Lutheran Church and Organ Curator at Raleigh Moravian Church. A Fellow of the College of Church Musicians at the National Cathedral, where he studied with Paul Callaway and Leo Sowerby, he holds the Doctor of Musical Arts degree from The Peabody Conservatory of The Johns Hopkins University. He was Director of University Choirs at The American University in Washington, DC, before becoming Professor of Church Music at Wesley Seminary. His contact information may be found in the online Membership Directory. See the related post about the NWS Institute below. A Music Critics Association of North America institute for from six to 10 critics will be held Feb. 2-4 at the New World Symphony in Miami Beach. New World is celebrating its 30th anniversary as America’s Orchestral Academy, training conservatory and music school graduates for careers in professional orchestras and ensembles. The centerpiece of the institute will be the annual New Work concert on Feb. 3, with NWS cofounder and artistic director Michael Tilson Thomas leading a program of newly commissioned pieces. It includes the world premieres of a musical composition by MTT and a short play by New York playwright Christopher Wall in collaboration with the Playwrights Realm, with NWS fellows performing both musically and theatrically. Also on the agenda is Project 305’s Miami in Movements, a multisensory reflection of contemporary Miami created by composer Ted Hearne and filmmaker Jonathan David Kane, the culmination of a collaborative, yearlong process, that included crowdsourced audio and video submissions by the public. There will be sessions with MTT, fellows and composers, and the opportunity to attend a rehearsal. Institute activities will be in the innovative performance facilities and state-of-the-art practice and ensemble rooms of the Frank Gehry-designed New World Center. The center is one of the most technologically advanced music venues in the world, with distance learning and audition coaching projects that amount to as many as 150 interactive musical exchanges a season with other institutions. There will be activities taking advantage of these high-tech resources during the institute, such as a behind-the-scenes look at production of New World’s trademark Wallcast concerts in SoundScape Park. MCANA scholarships to the institute will cover critics’ round-trip airfare (or comparable transportation) plus ground transportation to and from the airport in Miami; three nights at the Albion Hotel, a few blocks from the center on South Beach; and press tickets (guest tickets will be available for purchase). Please send an email expressing your interest in participating in the institute, including who you would be writing for, to MCANA president John Fleming, education committee co-chairs Kyle MacMillan and Jean-Jacques van Vlassalaer, and managing director Robert Leininger, all cced on this email. The deadline for applications is Dec. 15. Please note: Your 2018 MCANA membership dues must be paid in full prior to attendance at this institute. If not paid, your $125 2018 membership fee will be deducted from your reimbursement. Please welcome new MCANA member Jaime Robles. Jaime is a freelance writer who writes for Bachtrack, San Francisco Classical Voice, Berkeley Daily Planet among others. Her full contact information has been added to the online directory. Please welcome new MCANA Student Member Timothy Diovanni. 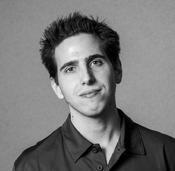 Mr. Diovanni is a student journalist at Columbia University. His journalistic affiliations include work as a music Columnist for The Columbia Lion; Arts Editor and Staff Writer for The Eye, the investigative magazine of The Columbia Daily Spectator; A program note writer for the North Shore Symphony Orchestra and more. His contact information may be found in the online MCANA membership directory. Please welcome Timothy to the organization. Please welcome new MCANA member Aaron Keebaugh. Aaron is a freelance writer, currently working as the lead critic for the Boston Classical Review, where he reviews about 50 concerts per year and contributes feature stories about visiting musicians to the Boston area. His contact information may be found in the online membership directory. Welcome, Aaron! Please welcome new MCANA member Samantha London. 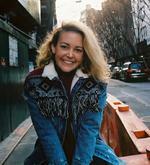 Samantha is a freelance writer, residing in Brooklyn NY. Her contact information may be found in the online Full Membership Directory. Welcome, Samantha! "Breaking the Waves" won inaugural Best Opera of the Year from the Music Critics Association of North America at our annual conference, this year in Santa Fe. 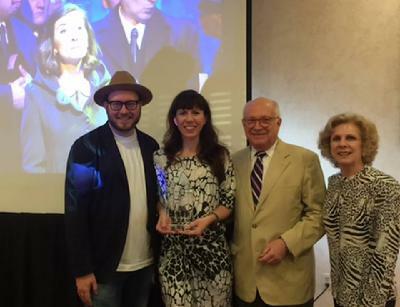 Right to left - music critics Barbara Jepson (MCANA President) and George Loomis, along with composer Missy Mazzoli and librettist Royce Vavrek. Please welcome new member Ilana Walder-Biesanz. Ilana is a freelance writer residing in San Francisco. She writes reviews and features for San Francisco Classical Voice, Opera Online, Stark Insider, and Bachtrack. Her contact information may be found in the online Full Membership Directory. 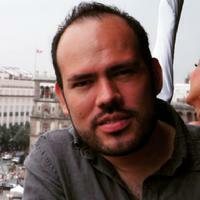 Please welcome new member Fotios Kaliampakos, a freelance writer based in New York City. Fotios hails from Athens, Greece and writes for The National Herald, among others. His contact information may be found in the online MCANA Membership Directory. Please welcome new member Margaret Darby. Margaret is a freelance writer living in Philadelphia. She contributes articles to broadstreetreview.com and operatoday.com among others. Her contact information may be found in the online MCANA Member Directory. Please welcome back former MCANA member Klaus G K Billand. Mr. Billand is a freelance writer who resides in Vienna, Austria. His contact information has been added to our online directory. Please welcome returning MCANA member Allan Kozinn. Allan writes for the Wall Street Journal, Portland Press Herald and the New York Times. His contact information may be found in the online membership directory. Please welcome new MCANA member J. Robin Coffelt. 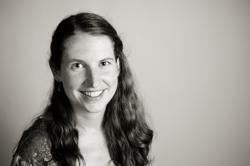 Ms Coffelt is a staff music writer at TheaterJones in Dallas, Texas. Her contact information has been added to the online membership directory. Please welcome new Student Member Jeremy Reynolds. Jeremy is an editorial intern at Symphony magazine and a freelancer for the Syracuse New Times . His contact information may be found in the online Membership Directory. Please welcome new member Douglas Hedwig. Douglas is a freelance writer and a correspondant, at the Chattanooga Times Free Press. Douglas resides in Chattanooga, Tennessee. His contact information has been added to our online directory. Please welcome new MCANA member William Thomas Walker. 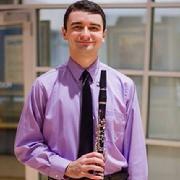 Mr. Walker is a staff reviewer for Classical Voice of North Carolina. He resides in Hillsborough, NC. His contact information has been added to our online directory. Please welcome new member Xavier Cester. Xavier resides in Barcelona, Spain. Mr. Cester is the Assistant Manager for Music at the Market Development department at the Catalan Institute for the Cultural Companies. He states: "As a freelance classical music and opera critic who travels frequently to the United Stades, it will be a honor to be among such prestigious colleagues..." Journalistic outlets include ARA (Barcelona), Catalunya Música (radio station), Time Out Barcelona, Opera (UK) and Revista Musical Catalana. His contact information may be found in the MCANA online directory. His blog is also included in the MCANA member blog page. Please welcome new MCANA member Anne Timberlake. Anne is a freelance journalist who writes for Harmonia, Saint Louis Post-Dispatch, American Recorder Magazine, Beloit Poetry Journal, Sycamore Review, Octave Magazine and other publications. She currently resides in St. Louis, MO. Her contact information may be found in the online Membership Directory. Please welcome new member Ivan Martinez. Ivan is our first member from Mexico. He is the music critic of Confabulario, the cultural supplement of El Universal, the biggest country-wide newspaper in Mexico. He is a clarinetist and frequent commentator on paper, radio and televisión. Martinez founded and edited the web-based magazine L’Orfeo, which published monthly from 2008 to 2013, and was the anchor of L’Orfeo Radio, streamed at Codigo DF at the time. He also has written for local newspapers in his hometown such as La Jornada, El Sol, and their supplements, as well as the academic magazine Pauta. He studied clarinet at the National University of Mexico (UNAM), where he studied with Luis Humberto Ramos. He has received the Gustavo Baz Prize at UNAM and has been granted –as a player or critic- three times by the National Endowment for the Arts (FONCA). Below is an easy opportunity to voice your support for retaining arts-friendly provisions within the K-12 federal education law currently under consideration in Congress. This legislative work is moving closer to a final bill and it is looking that a final vote may likely occur prior to year-end. We need your help in this last push to encourage your friends and colleagues to add their voice to and sign the petition put together by Americans for the Arts to help ensure that all students have access to a well-rounded education that includes the arts. The petition will be delivered to the members of Congress serving on the conference committee to voice support for retaining arts-friendly provisions within the education reform bill. 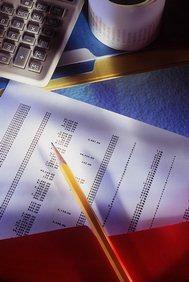 For more information on the re-authorization process, check out the blog post here. Thank you for your support of the arts and encouraging your friends, family, and colleagues to show their support for arts education. Please welcome new Student Member Esteban Meneses. Esteban is a Graduate student of humanities at Rollins College, in Winter Park, FL. Current activeites include copy editor and classical music contributor for The Sandspur, Rollins College’s student-run weekly newspaper. His contact information may be found in the MCANA Member Directory. * - John Lambert and Bryan Miller each received the same number of votes. According to the By-Laws, "in the case of ties for any other officer (other than President or Vice President) each will serve an equal portion of the term successively, taken in alphabetical order." This from MCANA member Robert Commanday. You can reply to info@mcana.org and I will forward to Mr. Commanday. 'SFCV needs a managing director (good paying half-time job). Also an editor. Both jobs could be combined to become a very good paying full time job. Interested candidates should inquire." A reminder that all current MCANA members are eligible for a 40% discount on a subscription to MusicalAmerica.com. Please contact Robert Leininger at info@mcana.org to find out how to take advantage of this offer. Access the National Music Council's Fall Newsletter by clicking on the photo to the left. There are two new photo galleries on the MCANA web site. One for the current Executive Board. The other for all current MCANA members. You may access the galleries via the links below. Past Music Critics Association of North America Executive Director and unofficial MCANA Historian Richard Freed has recently donated several important historical items to the organization. In addition to several documents that are invaluable in providing the early history of the MCANA, a series of reel-to-reel tapes of a public symposium presented by the MCA (as it was then known) at the Kennedy Center in March of 1987 are included. The symposium, �Music Criticism in America�s Press,� was presented with support from The National Endowment for the Arts; The Gannett Foundation; The Hechinger Foundation; Mr. and Mrs. Gordon P. Getty; and the John F. Kennedy Center for the Performing Arts. Former MCANA President Tim Smith, on PBS Newshour ArtsBeat segment "Around the Country, Newspapers Cut Arts Critics"
Mindful of your authority as editor of the Cleveland Plain Dealer and your description of Mr. Rosenberg’s case as an internal personnel matter, we nonetheless must urge you to rescind your action. The silencing of a critic not only challenges the foundation of our particular profession, but weakens the foundation of journalism itself. It is not at all hyperbolic to see this case as a threat to a free and independent press. We ask you to consider this theoretical scenario: A newspaper hires a commentator to give opinions about the local mayor and city council on a regular basis; the writer's work draws fire from the politicians and their supporters; the newspaper relieves the writer of his post. No self-respecting publication would ever do such a thing, but your treatment of Mr. Rosenberg has unavoidably put the Plain Dealer in this unflattering light. 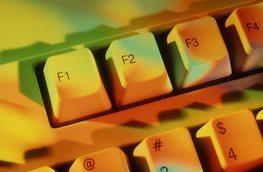 There has been much speculation about pressure, overt or subtle, being exerted on you by forces outside the newsroom. We do not wish to add to that speculation, but many of us are certainly aware of what can happen in any community when some people find fault with a music critic. Whatever prompted your move, it has led to consequences that we cannot imagine you would have ever wanted. In our view, a highly respected and qualified writer (who served for two terms as president of the Music Critics Association of North America) has been subjected to an unwarranted and unreasonable reassignment; a newspaper with a long history of service to its community has had its integrity and honesty questioned; and the free and unfettered public discussion that music criticism tries to foster has been unduly hampered. We ask you to restore Mr. Rosenberg’s critical voice and the credibility of the Plain Dealer. The following names include the board of directors of the Music Critics Association of North America and many of our members, as well as other music journalists from around the country who wished to join us in support of Don Rosenberg. Barbara Jepson, contributor, The Wall Street Journal "Leisure & Arts"
John W. Lambert, Classical Voice of North Carolina, Inc.
Jens F. Laurson, Classical Critic-at-Large, WETA-FM, Washington D.C. Links of interest to MCANA Members have been added to our site. To open a web site, just scroll on the word "Latest Updates of Interest" from the main menu and select "Web sites of Interest" from the drop-down menu. You can click on any hyperlink shown to open the web sites. Special discounts are available for current MCANA Members for MusicalAmerica.com (40% off the annual subscription fee). Contact Robert Leininger at musiccritics@aol.com for required codes to receive discounts. The Music Critics Association of North America and Columbia University's National Arts Journalism Program jointly released today "The Classical Music Critic: A Survey of Classical Music Critics at General Interest and Specialized News Publications in America." The 54-page report, analyzed by Princeton University's Lawrence McGill, is available in PDF format by link in the console at the top of this page, or at www.najp.org, and includes information about the numbers, demographics, educational backgrounds, work situations, ethical beliefs and musical tastes of those writing about classical music today. *The average classical music critic is a white, 52-year-old male with a graduate degree. BUT, 26% of all critics writing are female, and their numbers are equally spread from the youngest to the most experienced in the field. *Four out of five critics agree that "we can be proud of the new classical works that we have created in Canada and the U.S. over the past 25 years." However, more than half of the critics surveyed disagreed that "composers are breaking genuinely new ground these days." *There is a generational gap between younger critics - those 46 and younger- and older writers. In a word, "modern" and "American" are in among the younger writers, who tend to be more open to a wider range of contemporary composers, while masters like Handel, Wagner, Dvorak and Schumann are out. *John Adams was the most liked contemporary composer; Mozart was the most liked historical composer. To view the complete CRITICS SURVEY, please scroll on the word NEWSLETTER at the top left of this page and select "CRITICS SURVEY" from the drop down list, or click on the image in this article. Two essays, one by John Rockwell and one by Joe Horowitz, who were keynote speakers at October's Shifting Ears Symposium, have been added to the MCANA web site. Scroll over the word "NEWSLETTER" at the top left of this page and select "SHIFTING EARS" from the drop down menu to view the essays. Above material is for exclusive use of Music Critics Association of North America and may not be copied or used without authorization.